We're turning automobiles inside out and exploring the science, technology, engineering and math that makes them go in Vroom! A Car Adventure, now open at the Science Center! 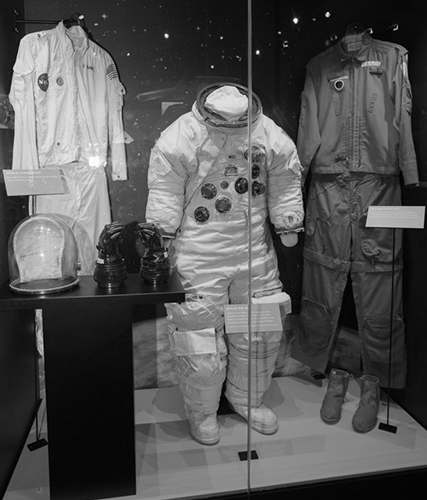 You won’t need a license to get hands on in this expansive new exhibition, developed and curated in-house by the Science Center’s Exhibits team. From a Tot Garage area for the youngest tinkerers to an exhibit that demonstrates how self-driving cars are able to see using a LIDAR sensor, Vroom! is sure to get every guest’s curiosity racing. 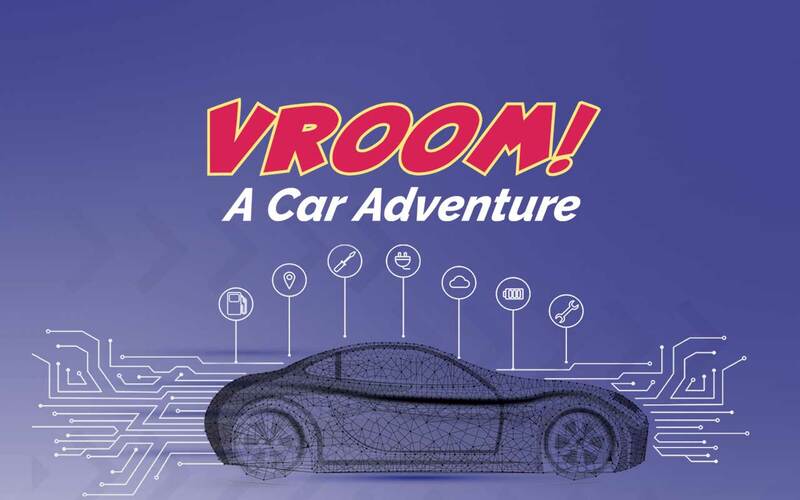 Visit Vroom! now through September 2! Tinker with aerodynamics and weight distribution while building a car to race on our giant Derby Dash ramps. Test your reflexes and reaction time using a real drag-racing tree. Race against Lenny, a robotic arm, to complete a circuit maze and learn about automation in car manufacturing. Explore the "under the hood" mechanisms that help a car function, including pistons, shock absorbers, brakes and differentials. 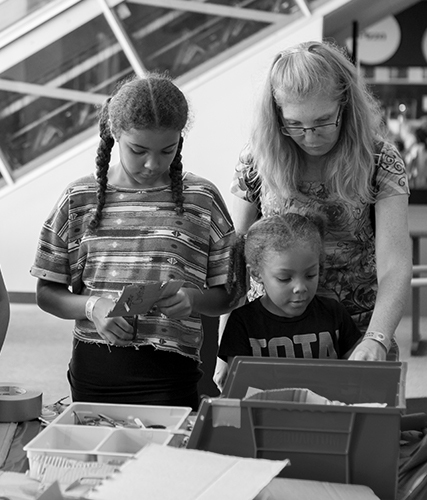 Build a gear train and discover the role gears play in a car's transmission. Investigate aerodynamics using our full-body augmented reality wall. 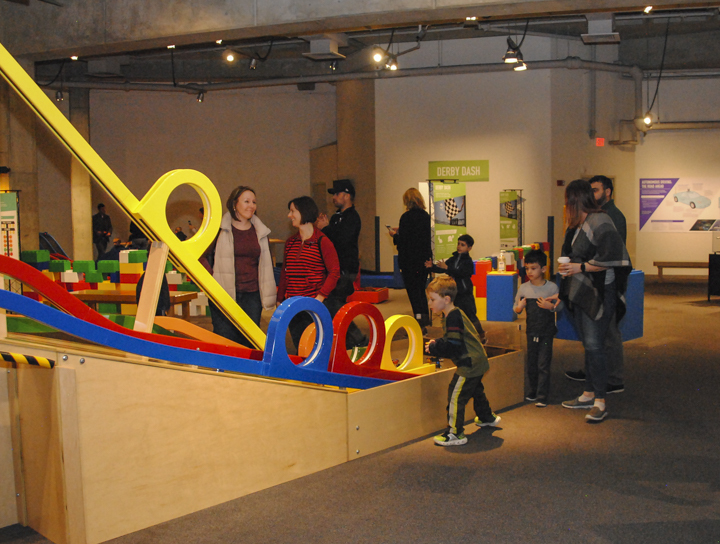 Experiment with force and motion on our giant "physics playground," complete with loop-the-loops, winding ramps and customizable magnetic tracks. Create a personalized license plate rubbing to take home. Design and draw your own car just like the professionals with our backlit tracing tables. Discover how square wheels can roll smoothly on a specially-shaped road. 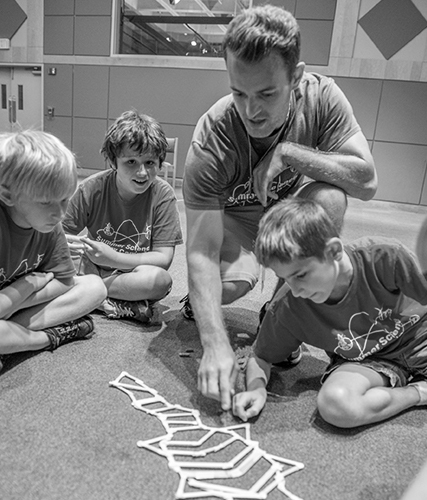 Practice your problem-solving skills at two giant "Rush Hour" puzzle game stations. Play mechanic and change a tire, replace the oil, swap out a muffler and more in our immersive "Super Service Center" auto garage!